President Rodrigo Duterte has signed the measure granting a renewal of the franchise of the GMA Network. This is according to a report published by Business World on April 26. Duterte signed Republic Act (RA) No. 10925 last April 21, which grants the renewal of franchise of Republic Broadcasting System, Inc., which is now known as the GMA Network. The law extends the franchise of GMA for 25 years. 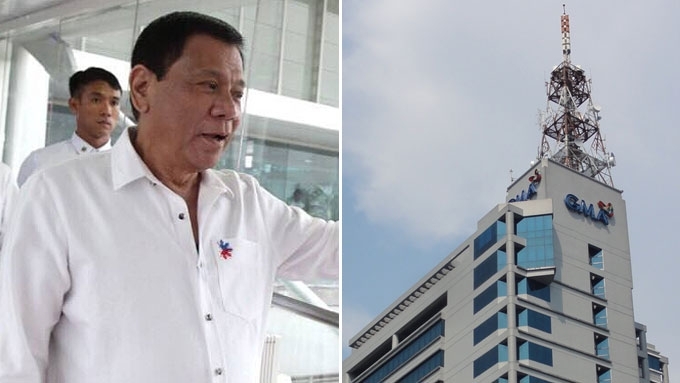 The law also requires the Kapuso Network to provide free public-service time to the government in relaying important public announcements and warnings. The free public-service time should be equivalent to 10% of all its ad time. The RA 10925 reads: “The franchise shall be subject to amendment, alteration, or repeal by the Congress of the Philippines when the public interest requires and shall not be interpreted as an exclusive grant of the privileges herein provided for. “The grantee, its successors or assignees shall comply with the applicable labor standards under existing labor laws, rules and regulations and such other issuance as may be promulgated by the Department of Labor and Employment, taking into consideration the nature and peculiarities of the broadcast industry."